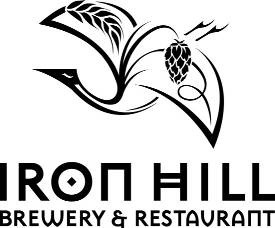 The award-winning brewpub chain, Iron Hill Brewery & Restaurant, announced today their eighth location, and their first in New Jersey. In May 2009, they’ll open a new brewpub in Maple Shade, New Jersey. The address will be 124 East Kings Highway. “We hope that beer and food lovers in New Jersey will enjoy our house-brewed beers and delicious cuisine as much as our fans in Pennsylvania and Delaware,” says Iron Hill founding partner Kevin Finn. Along with co-owners Kevin Davies and Mark Edelson, Finn has continuously sought out thriving suburban locations for their award-winning concept, beginning in Newark, DE in 1995.The Maple Shade location is made even more special by the fact that all three owners hail from New Jersey. The executive chef and head brewer have not yet been named, but will no doubt continue Iron Hill’s tradition of culinary and brewing excellence. The new location will accommodate 280 guests and serve Iron Hill’s menu of new American favorites including their signature Brewski Burger, with mushrooms, bacon and a choice of American, sharp cheddar, Swiss, provolone or muenster cheeses; Fish and Chips, North Atlantic Pollack battered in their own Vienna lager and served with French fries, cole slaw and malt vinegar; Black Pepper Crusted Ahi Tuna with a salad of lentils, spinach, grape tomatoes and shallots and a port wine vinaigrette; and Pan Roasted Chicken Breast with smashed Yukon gold potatoes, crispy friend onion rings, asparagus and thyme pan jus. Iron Hill will be open for lunch and dinner, seven days a week. Iron Hill Maple Shade will also offer an impressive selection of their house-brewed beers, including: Vienna Red Lager, an Austrian lager with bread-y malt aroma and a clean, crisp finish; Pig Iron Porter, dark, flavorful and chocolate-y with good balance and a slight bitterness; Raspberry Wheat, a filtered American wheat beer with a touch of natural raspberry flavor; and Ironbound Ale, a celebration of American ales made from the nation’s finest hops varieties such as Cascade, Crystal, Centennial and Chinook. Plans are also afoot for Iron Hill to add six additional brewpubs by 2011.